Expert at TIGER Research Centre and professor at the Kozminski University in Warsaw. Doctor of Economics. Former advisor to the Executive Director of the IMF. Expert at TIGER Research Centre and professor at the Kozminski University in Warsaw. Doctor of Economics. Former senior economist of PKO Bank Polski and economist at the European Department of, as well as advisor to Executive Director of the International Monetary Fund. 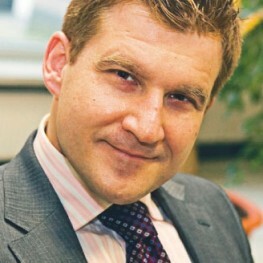 Reviewer of World Bank projects, member of the coordinating committee “Information Society Developments in the New Member States and Candidate Countries”, Institute for Prospective Technological Studies (JRC-IPTS) of the European Commission, European Commission (2005-2007) and member of the coordinating committee of the World Bank “Knowledge Economy in Poland” (2004-2005).